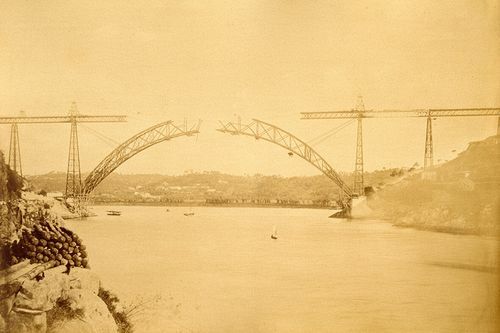 The Ponte Maria Pia is a railway bridge built by Gustave Eiffel in Porto, Portugal. Construction started on 5 January 1876 and completed on 4 November 1877. At the time of construction it was the longest arch bridge in the world at 160m.